Customers are expecting more from webshops than ever before. Thanks in a large part to e-commerce tech giants like Amazon, customers demand a smooth and efficient experience online. One thing customers are calling out for is transparency, and at the centre of providing a transparent customer experience are track and trace notifications. We have all experienced an element of stress after ordering something online and it taking longer than expected to be delivered. Track and trace notifications alleviate this anxiety as your customers will know the whereabouts of their package and when they can expect it to be delivered. Once first time buyers know that they can count on your webshop to deliver when they expect, they may well keep coming back. Stay one step ahead of “where is my order”questions by answering them before they arise. To do this successfully track and trace notifications need to be sent throughout the delivery process, not just when the order is dispatched. Total transparency is when webshops update the customer at each stage of delivery, from processed to packed to posted. This will also relieve pressure on your customer service team, freeing them up to concentrate on other customers. Delays happen. Whether it is the weather, an incorrect address or a system failure. We have already said that e-commerce customers demand transparency and a notification informing them of the delay will ensure they aren’t expecting an on-time delivery. Yes really! By providing delivery tracking and notifications on your website once your customers arrive on site they might be tempted be something else. Acquiring new customers is far more difficult and costly than taking care of the ones you already have. Build trust by providing complete transparency through your track and trace notifications. We live in a world where customers demand more and more information from the brands that they shop at. Track and trace notifications are just one of the ways that brands can delight their customers by being more transparent. 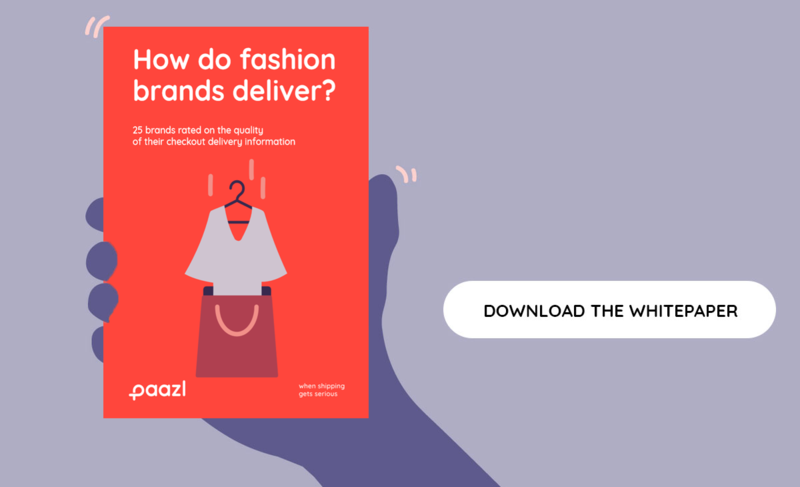 In our four-part whitepaper series we have analysed how 25 e-commerce brands deliver throughout the customer journey. From pre-checkout to track and trace and returns download our whitepapers to see which brands came out on top.